Over at Splitcoast today…words of encouragement. This card is a standard A2 (4.25″ x 5.5″) in SU’s Basic Black, followed by a layer of designer paper that’s been distressed and inked. Next is a die cut in Basic Black, followed by the sentiment panel from the same pack of designer papers that’s also been inked. 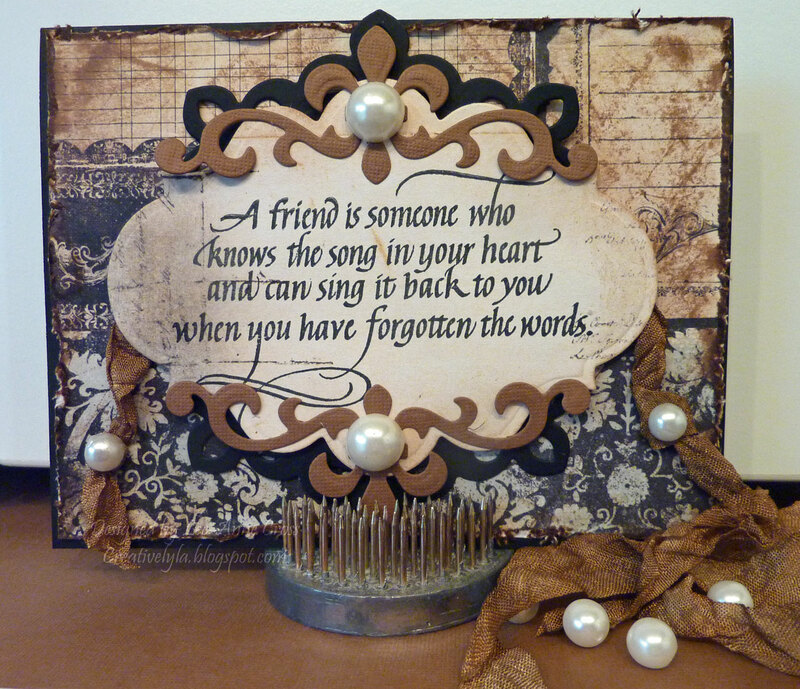 A couple more die cuts over top of the sentiment panel and a couple of large pearls for embellies. The sentiment panel has been popped up on dimensionals. The hand dyed ribbon is placed between the black die cut and sentiment panel. I glued the knots down to the background paper and then glued two smaller pearls over top of the knots. This is one of those cards where the paper does a lot of the work…makes it easy peasy!